Sayings placed around our home remind us of the important things in our lives! 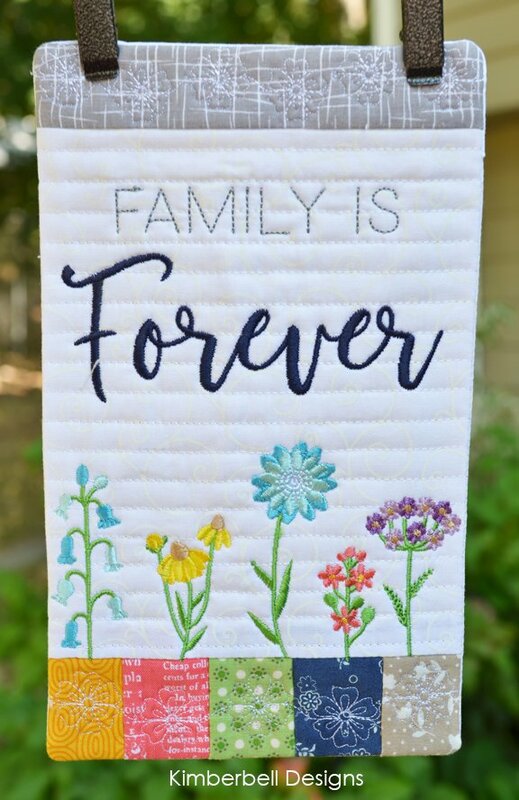 These cute mini wall hangings by Kimberbell are a great way to put such sayings up and be able to change them with the season or occasion. They are little mini quilts that you can get hangers for so you can put them around on your counters, bookshelf, mantle or wherever. They are done in the embroidery machine and comes in three sizes so all machines can do them! We will be doing the "family is forever".